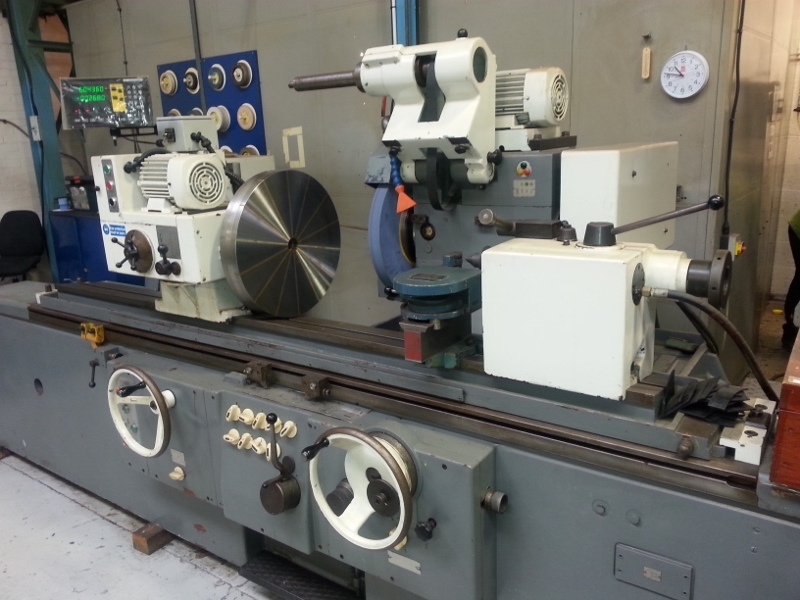 Please see the Cylindrical Grinding Machines, machines and tools available listed below. 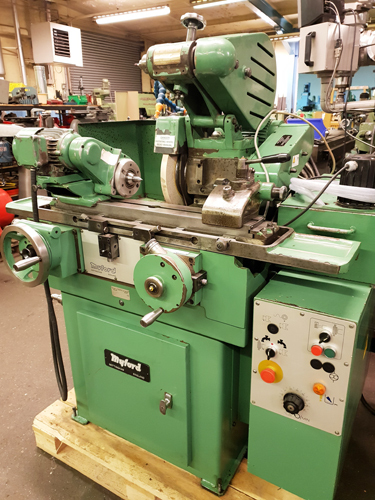 JONES & SHIPMAN 1300 ES UNIVERSAL CYLINDRICAL GRINDER Capacity 10" x 27" : Hydraulic Feeds : Swivel Wheelhead : Swivel Workhead : 3 Jaw Chuck : Low Volt Light : Coolant : Splash Guards. 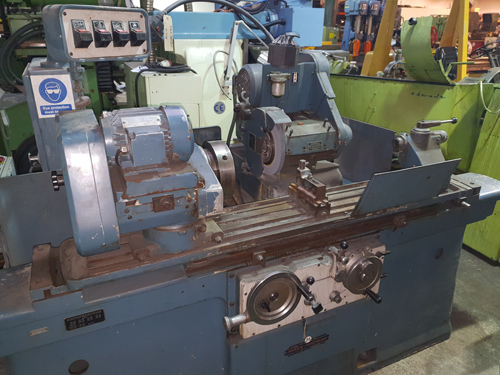 JONES & SHIPMAN 1311 EIT UNIVERSAL CYLINDRICAL GRINDER Capacity 10" x 18" : Hydraulic Feeds : Double Swivel Wheelhead : Swivel Workhead : 3 Jaw Chuck : Internal Spindle : Coolant. 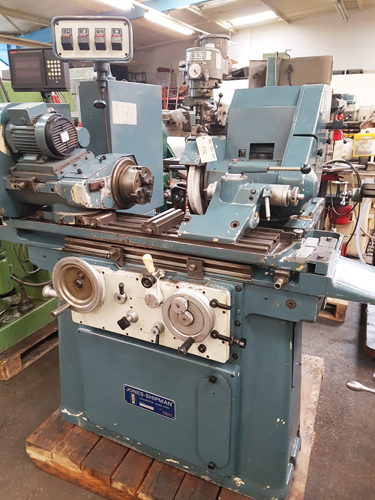 MYFORD MG12M CYLINDRICAL GRINDER : Manual Operation : Capacity 125mm x 305mm (5" x 12") : Wheel size 300mm (12") Diameter : Drop Down Internal Attachment : : 3 Jaw Chuck : Centres : Coolant : Operators Manual & Tools. Machine available early December. 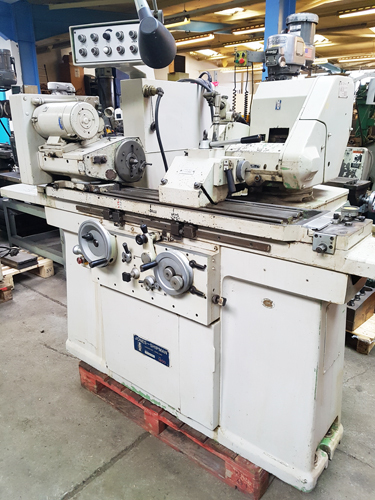 JONES & SHIPMAN 1307 EIT UNIVERSAL CYLINDRICAL GRINDER Capacity 14" x 40" : Hydraulic Feeds : Deouble Swivel Wheelhead : Swivel Workhead : Internal Spindle : Tooling : Coolant. TOS Model BHU 50 -1500 UNIVERSAL CYLINDRICAL GRINDER Capacity 500mm Swing x 1500mm Between Centres : Drop Down Internal Spindle : 500mm Diameter Magnetic Chuck( New in 2016) : 6 Jaw Chuck : 2 Axis DRO : 500mm Diameter Grinding Wheel : 2 off 2 Point Steadies : 1 off 3 Point Steady : Table Mounted Diamond Holder : Radius Dressing Attachment : New Balancing Mandrel : Coolant. 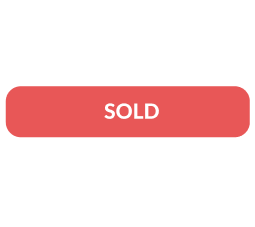 Please check back regularly as our stock of used Cylindrical Grinding Machines and machines is constantly changing.